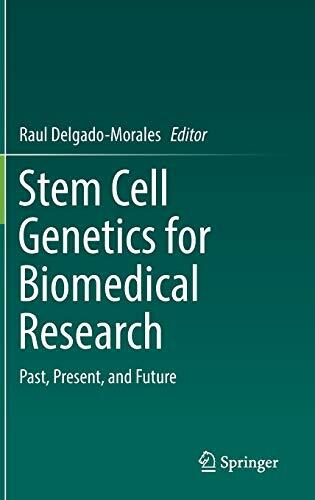 This book looks at where stem cell technology is presently and how it is instrumental in advancing the field of disease modeling and cell transplantation. 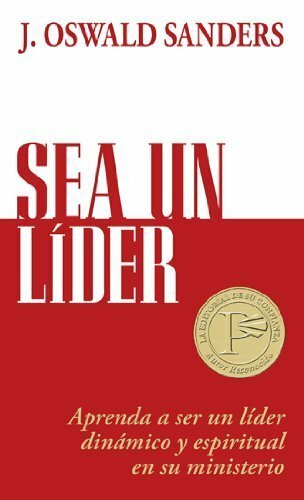 By focusing on major human disorders such as Alzheimer’s disease, cancer, and heart disorders, the book summarizes the major findings in the field of human stem cells and dissect the current limitations on our understanding of stem cells biology. The chapters focus on the genetics, genomics, epigenetics and physiology of stem cells models, together with technological advances on molecular biology such as CRISPR/Cas9 or epigenetic editing, that will be instrumental in the future of human disease modeling and treatment. In base of the limitations of current disease models and in front of the unmet necessity of finding therapeutical interventions for human disorders, the availability of stem cell technology has opened new doors for several fields. The unlimited self-renewal capacity and more extensive differentiation potential of stem cells offers a theoretically inexhaustible and replenishable source of any cell subtype. Since Professor Shinya Yamanaka described it, 10 years ago in his seminal paper, that somatic cells could be reprogrammed to inducible stem cells (iPSC) just by expressing four transcription factors, the field of has exploded, especially its applications in biomedical research. 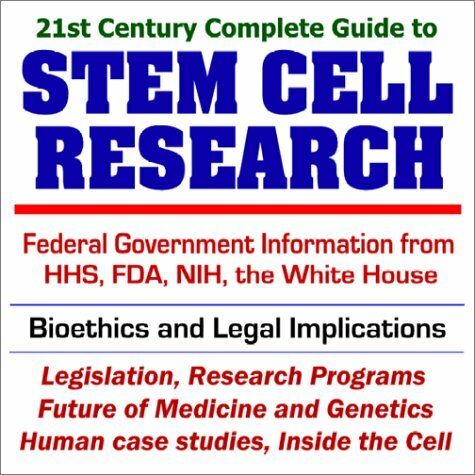 This CD-ROM provides comprehensive information on the controversial topic of stem cell research. There is material from the Department of Health and Human Services (HHS), Food and Drug Administration (FDA), the National Institutes of Health (NIH), and the White House. It includes scientific information and discussions of bioethics and legal implications, and much more. In addition, there is detailed coverage of the Human Genome Research Program and related genetic research, including medical implications and human case studies. Over 41,000 pages are reproduced using Adobe Acrobat PDF software – allowing direct viewing on Windows and Apple Macintosh systems. Reader software is included. Our CD-ROMs are privately-compiled collections of official public domain U.S. government files and documents – they are not produced by the federal government. They are designed to provide a convenient user-friendly reference work utilizing the benefits of the Adobe Acrobat format to uniformly present thousands of pages that can be rapidly reviewed, searched by finding specific words, or printed without untold hours of tedious research and downloading. Vast archives of important public domain government information that might otherwise remain inaccessible are available for instant review no matter where you are. This book-on-a-disc makes a great reference work and educational tool. There is no other reference that is as fast, convenient, comprehensive, thoroughly researched, and portable – everything you need to know, from the federal sources you trust.